Cleveland Golf is back for 2014 with a brand new range of 588 RTX 2.0 wedges for 2014 as it looks to build on the success of the original 588 RTX, first released last year. The original model had a major impact on the levels of spin expected from wedges and the performance of the new 588 RTX 2.0 range is even more impressive. 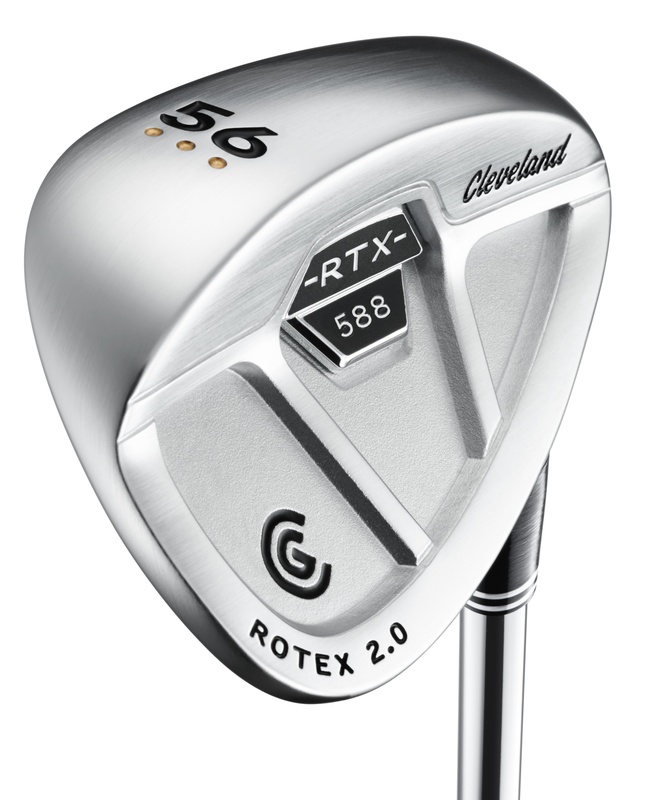 Cleveland Golf has evolved a number of its technological features to form the new 588 RTX 2.0 wedges., including the Rotex 2.0 Face technology and the innovative sole design. The Rotex 2.0 face now features the fourth generation of the brand’s Tour Zip grooves, which it says are now 15% sharper and have deeper micro milling to provide superior spin on all shots from the rough. The advanced, two-pass micro milling pattern provides a strategically designed roughness close to the USGA limit. This leads to increased friction and more spin, especially from inconsistent lies. The laser milling fine-tunes the micro-roughness for more consistency and texture across the face. Cleveland Golf has also developed three distinct grind options in its 588 RTX 2.0 family, making it easier than ever for any golfer to build a wedge set that maximises performance based on turf conditions, playing preference and skill level. The low bounce option is a trailing edge grind that keeps the leading edge close to ground for aggressive lob shots, yet provides stability on square-faced full shots. The standard bounce option offers moderate trailing edge relief as well as all-around playability and versatility, allowing golfer to execute a variety of shots from most playing conditions. The full sole option features a constant sole width, allowing the golfer to use the sole to their advantage around the greens. The full shape gives stability on full shots, however the curvature in the sole still allows players to open the face.